All Ausweb cPanel hosting solutions include Fantastico Deluxe which is an opensource application installer. Using Fantastico makes it simple to install SMF into your hosting account, you just need to supply some basic information and with a few mouse clicks SMF is installed and you are ready to start adding to your new forum. 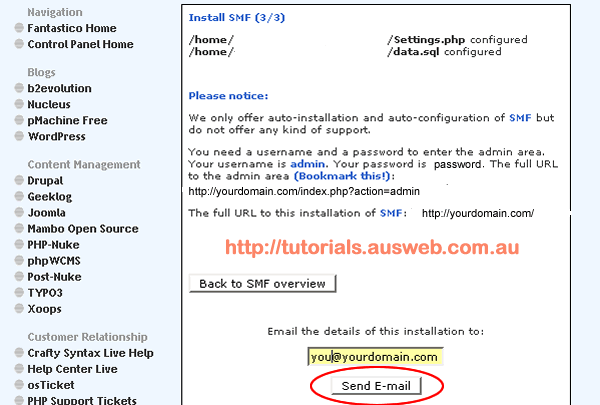 Point your browser to http://yourdomain.com/cpanel and enter your username and password supplied in your welcome email. 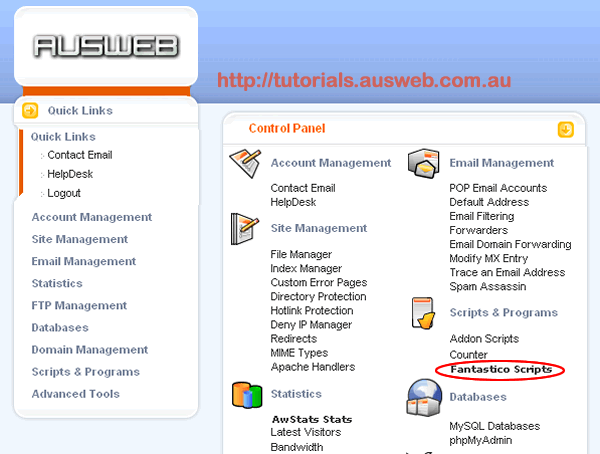 Once logged into cPanel, select Fantastico Scripts from the options displayed. You will be taken to the page listing all Fantastico applications available for installation. Select SMF from the menu on the left, then select “New Installation”. Now we need to give Fantastico the Information it will require to install SMF. 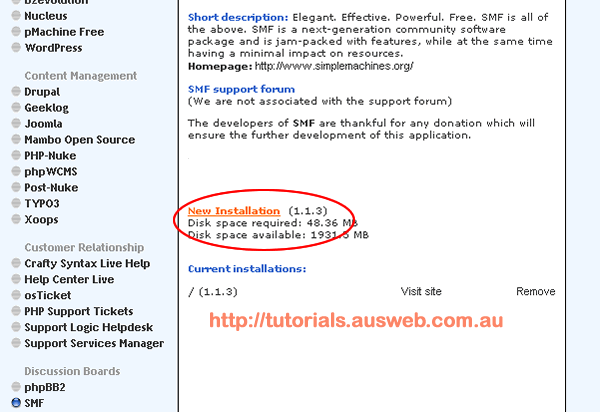 Once you have filled out all the required information, hit “Install SMF” and the installation process will be started. The next screen prints out some information about the installation, hit “Finish Installation” to complete the installation process. Congratulations! 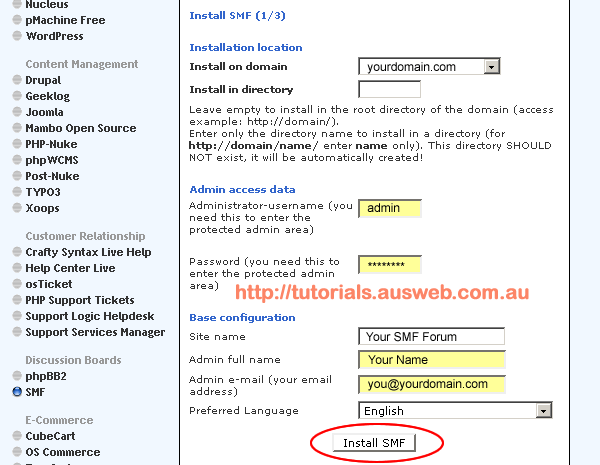 Your SMF forum is now installed any ready to use.